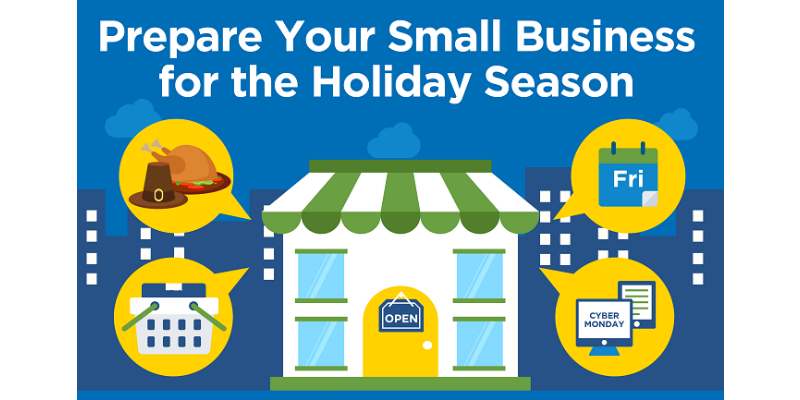 Holiday sales cluster around Thanksgiving week, so it’s time to get your small business ready for the busy season. Our latest infographic highlights the growing popularity of holiday season and how your small business can reap the rewards. Thanksgiving week revenue was up 33% in 2017 from just the year before. More Americans support Small Business Day every year. In 2017, 43% of Americans shopped or dined at local independently-owned businesses on Small Business Saturday. Ask for reviews before the season. 96% of shoppers read reviews on retailers’ sites. Provide free shipping. 94% of online shoppers use free shipping when available. Offer gift cards. Holiday shoppers buy an average of 4 gift cards, making gift cards the second most-popular gift after clothing.